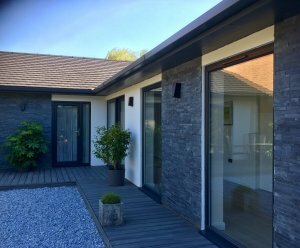 Took a while researching which Aluminium System to use for our domestic customers but so pleased we chose Reynaers. 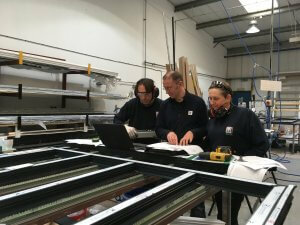 It’s been a steep learning curve for all of us but thanks to our fantastic staff who have embraced change with enthusiasm and commitment and all the training provided by the Reynaers team, we are now fabricating a wide range of Aluminium windows & doors. We are one of only a few ‘Reynaers At Home’ partners in the country and can’t wait to share some of the exciting projects we have been working on. Can’t believe how popular Aluminium is becoming in domestic homes in the UK now, mind you the results are stunning. We love the straight edges of the profile which look so much more modern than the sculptured profiles. Please get in touch with us if you want to find out more about Aluminium double glazing for your home.